Prof. Shambhu Nath Singh has had two decades of experience in the field of journalism and more than a decade long experience as a media academic. 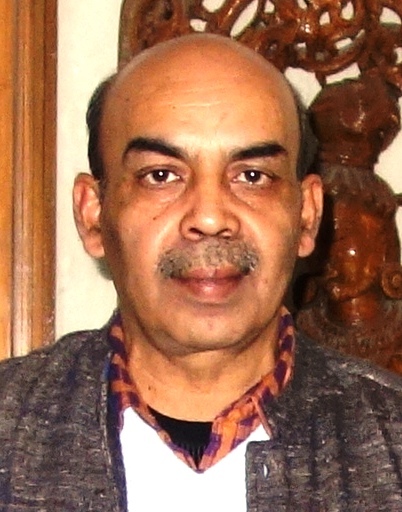 As a media professional he has worked in positions like Political Editor, Associate Editor, Executive Editor, Assistant Editor, etc., and regular columnist in well- known newspapers such as the Hindustan, the Nav Bharat Times, the Jansatta, the Dainik Bhaskar etc., besides being editor and regular contributor to many journals and magazines. In the field of academics, Prof. Singh has held senior positions such as Vice-Chancellor, Director, Professor, Senior Professor and Visiting Professor. A winner of Sahityakar Award (2002-2003) and Harmony Award (1997) for noteworthy contribution in the field of Hindi Journalism. Prof. Singh has also represented India in prestigious ‘International Leadership Visitor Programme in the United States in 2007′ and addressed a prestigious gathering of senior journalists at International Press Centre, New York. A Doctorate from JNU, he has also served as a Vice-Chancellor of Patna University, Bihar, India from August, 2011 to August, 2013. He has also been the Visitor’s nominee for a few Universities and the Chancellor’s nominee for another few. He has served as Member of Selection Committees for senior faculty positions in various other universities/academic institutions. Also he has been Member of Curriculum Design Committees, Finance Committees etc., of Central / State Universities. He has a more than thousand articles to his credit in national dailies, magazines and journals. Prof. Singh has been Key resource person for many workshops and chaired many seminars on media, media literacy and communication conducted by organisations such as UNICEF, UNESCO, UGC, Discovery Channel, etc. He has been associated with National Assessment and Accreditation Council (NAAC) as member/ expert of peer team for assessment of universities and resource person for training the assessors. He was a Member of Technical Advisory Committee (TAC) of Ministry of Minority Affairs. He has also served in various Committees like Advisory Panel, Censor Board of Film Certification (CBFC), Media for Science & Environment, Hindi Advisory Committee, Task Force on Broadcasting Services Regulation Bill and the Content Code, Core Committee on Standardisation of Media Education-an initiative by Press Council of India for development of National Media curriculum framework, Evaluation Committee of Central Hindi Directorate, M.H.R.D. GOI to select outstanding books (published) for “Education Award (Shiksha Puraskar)”. He is the founder Director and Professor, School of Journalism and New Media Studies, Indira Gandhi National Open University, New Delhi. He has set forth the vision, mission and road map which included Centres for Research & Repository and Professional Training, a Standing Media Congress to reflect on all issues that pertains to media in South Asia besides academic cooperation /collaboration with international institutions of repute. He initiated as a Director of SOJNMS of IGNOU certain MoUs / MoAs with UNESCO; Deutche Welle, Germany; Commonwealth Educational Media Centre for Asia (CEMCA); Asian Media Information and Communication Centre (AMIC), etc. Presently he holds the position of the Director in the School.